Property Size: 5,750 SQ. FT. 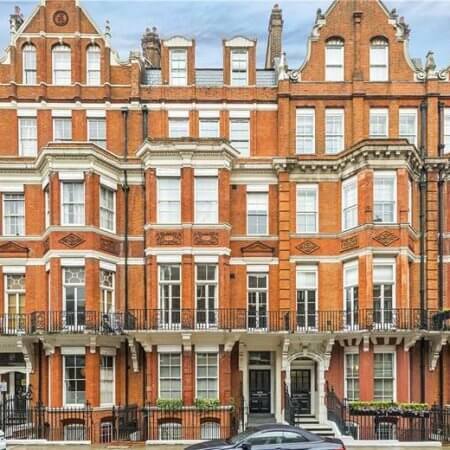 Located in the heart of Belgravia, this property is accessed via Wilton Place or Belgrave Square, one of London’s great squares that lies east of Buckingham Palace. Homes in such magnificent neigbourhoods don’t present themselves too often, particularly not freehold properties that are grade II listed with planning permission to extend the floorplans. single dwelling house, with extensions to the closet wing, relocation of the passenger lift, use of the roof as a terrace, excavation of a basement under the rear courtyard and internal alterations. The enlarged house would have a proposed area of circa .5,750sqft (534m2). 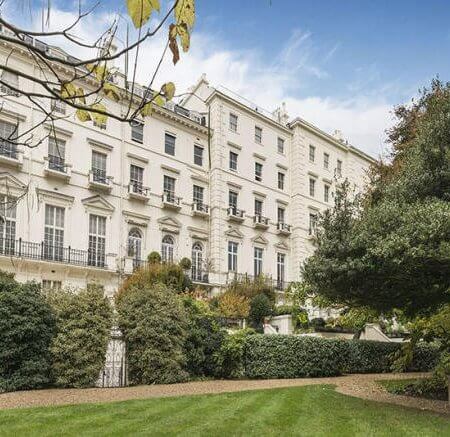 Originally designed by Thomas Cundy II, Wilton Crescent was first drawn up with the Wyatt Plan for Belgravia in 1821. Today, Number 39 is a Grade II Listed property with approximately 5,126, sq. ft. of living accommodation set over six storeys and is unmodernised. The upper storeys offer a great opportunity to create several exquisite bedroom suites, including private bathrooms and dressing rooms, whilst the lower ground floor could create a superb open-plan family living area with direct access to the courtyard. Planning Permission and Listed Building Consent have already been granted for an extension of circa. 600 sq. ft. and there is even potential for a landscaped roof terrace overlooking the square. Janine Stone & Co. can offer the purchaser exceptional interior design services and early cost appraisals to assist with the acquisition. To assist interested buyers of this property understand their development options, Janine Stone & Co. are able to provide concept and development consultations. It can be arranged for these complimentary consultations to be take place at the property or in our London studio. Janine Stone & Co. will provide guidance on architecture styles, refurbishment and planning considerations, in addition to helping interested parties to develop their early design ideas, into floor plans with estimated project costs and timelines for realisation. Should a successful acquisition take place, we would be happy to take these initial concepts, through to a full concept and subsequent planning, design and build phases. Bradley Fitchew, Janine Stone & Co. This is a handsome triplex penthouse located within beautiful red-brick period building on one of Mayfair’s most enviable residential streets. Janine Stone & Co. are of the view that through a few key alterations, substantial value and utility can be unlocked to make this home suitable for contemporary life.